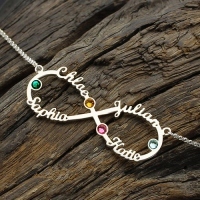 Infinity is the symbol of eternity, something that goes on forever. What better symbol for your love could there be than our stunning Infinity Four Names Necklace with Birthstones. 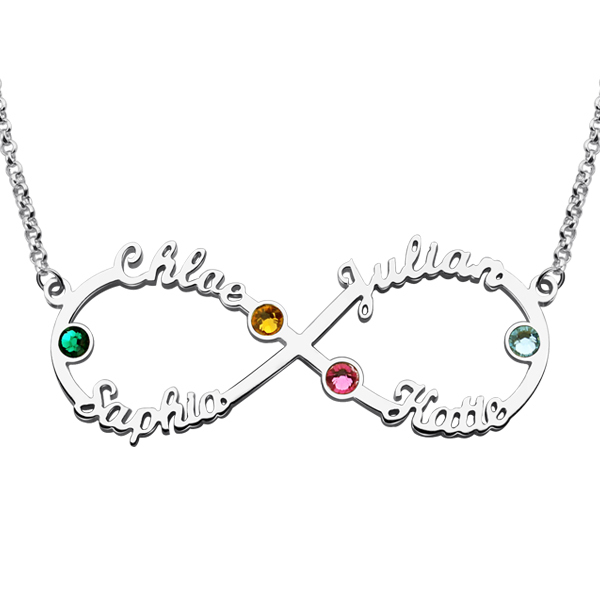 Light up the eyes of those you love the most by personalizing your infinity necklace with name with up to four name inscriptions and up to four birthstones of your choice. 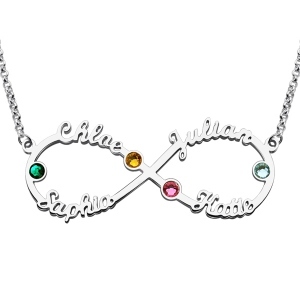 For birthdays, anniversaries, Mother's Day, and even Christmas, this personalized necklace is truly a special gift to give.